Bangladesh gained independence from Pakistan in 1971 and therefore shares with Pakistan the legislation promulgated prior to 1971, there are many Acts, Ordinance made after the independence of Bangladesh. 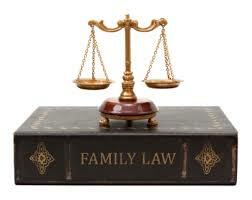 Similarly a Family court was established by the Muslim Family Law Ordinance of 1961. Family law is the area of the law that deals with one of the most central and personal aspects of society of the family. Although the precursor of family court was really child or juvenile court, the framers of family court probably could not have fathomed it would become a tribunals for every family related dispute as it exists today. It is evident that the setting up of these family courts was a dynamic step so far as reducing the backlog and disposing of cases while ensuring that there is an effective delivery of justice goes. The Bangladesh court s system is divided into two levels. There are the subordinate courts and the Supreme Court, both of which hear civil and criminal cases. The subordinate courts operate at district level and are the courts first instance. They are divided into civil and criminal courts. There are specialized tribunals for example; labor and tax issues and family court has jurisdiction over personal status matters, which are governed by a person’s religious affiliation. It is not unknown that a gaping loophole in the Bangladesh Judiciary is the backlog of cases. The number of family matters cases being filed in the Supreme Court and lower court in Bangladesh, Further, pertinent to note here is that Marriage as an institution has become the subject of great judicial scrutiny. There are a number of judicial provisions dealing with marriage and its various aspects. The result is that, in addition to the various advantages that these legal provisions may provide; the privacy of this institution has been threatened. As per studies conducted in Dhaka, 40 % of marriages are heading towards divorce. There are issues like alimony which become the topic of great controversy and cause harassment to families. What further becomes a problem is that personal issues get intertwined with the legal issues and lead to the unnecessary prolonging of the disposal of these cases. The younger generation, being made a scapegoat in the changing times due to the ensuing cultural war between Conservatives and Liberals, wastes its useful youth in the precincts of the litigating corridors of the family courts, criminal courts and magistrate courts waiting in long queues being expectant of receiving justice. have been set up and are functioning in other districts, the setting up of a family court in the Bangladesh is a significant development and a step which was necessary to be taken. The main purpose behind setting up these Courts was to take the cases dealing with family matters away from the intimidating atmosphere of regular courts and ensure that a congenial environment is set up to deal with matters such as marriage, divorce, alimony, child custody etc. As mentioned earlier, an effective way of tackling the problem of pendency is to improve the efficiency of the system rather than changing the system altogether. A significant step is to make use of the available human resource. These family courts at Bangladesh are equipped with counselors and psychologists who ensure that the disputes are handled by experts who do not forget that while there may be core legal issues to be dealt with; there is also a human and psychological dimension to be dealt with in these matters. The role of the counselors is not limited to counseling but extends to reconciliation and mutual settlement wherever deemed feasible. The Family Courts are free to evolve their own rules of procedure, and once a Family Court does so, the rules so framed over ride the rules of procedure contemplated under the Code of Civil Procedure. In fact, the Code of Civil Procedure was amended in order to fulfill the purpose behind setting up of the Family Courts. and the dispute can worsen over time. This can be a very traumatic experience for the families and lead to personal and financial losses that can have a devastating effect on human relations as well. This again points to the importance of having guidance counselors and psychological experts to deal with such matters. The Act stipulates that a party is not entitled to be represented by a lawyer without the express permission of the Court. However, invariably the court grants this permission and usually it is a lawyer which represents the parties. The most unique aspect regarding the proceedings before the Family Court are that they are first referred to conciliation and only when the conciliation proceedings fail to resolve the issue successfully, the matter taken up for trial by the Court. The Conciliators are professionals who are appointed by the Court. Once a final order is passed, the aggrieved party has an option of filing an appeal before the High Court. Such appeal is to be heard by a bench consisting of two judges. The Family Courts’ main purpose is to assist the smooth and effective disposal of cases relating to family matters. However, like any other system there are certain issues which become a matter of concern when it comes to the working of these courts. One such issue is that of continuity. For example, in the family courts at Tamil Nadu, the counselors are changed every three months. Thus, when cases stretch for a period of time which is longer than this, the woman or the aggrieved person has to adjust with new counselors and their story has to be retold several times. that if, after service of summons neither party appears when the suit is called on for hearing the court may dismiss the suit. The purpose is again manifest in providing a procedure for trial of cases in camera if required for maintaining the secrecy, confidentiality and for effective disposal of some complicated and sophisticated maters which may not be possible under moral law of the land. By the Family Courts Ordinance 1985 the family courts get hold of exclusive jurisdiction for expeditious settlement and disposal of disputes in only suits relating to dissolution of marriage, restitution of conjugal rights, dower, maintenance, guardianship and custody of children. The courts began working all over the country except in the hill districts Rangamati, Bandarban, and khagrachhari. Soon after the court began functioning, questions raised whether the family courts would deal only with the family matters of Muslim community or of all communities. The uncertainty lasted for a long time until in 1998 a special high court bench of the supreme court in a path finding judgment removed all the question regarding family court’s jurisdiction. Every lawyers and judges dealing with family court are supposed to be aware of the judgment. But the common people for whose benefit the courts have been constituted seem still uninformed about the great decision relieving the justice- seekers in the family courts harming uncertainty. It is evident that the setting up of these family courts was a dynamic step so far as reducing the backlog and disposing of cases while ensuring that there is an effective delivery of justice goes. However, as aforementioned, there are still matters of concern which plague these courts. The issues relating to the functioning of these courts is to be seen in total, as quoted in the examples relating to the procedural as well as substantive aspects of the problems. There are many controversial and debatable issues such as engaging a lawyer due to the specific provisions of the Family Courts Act. Furthermore, the lack of uniformity regarding the rules laid down by different states also leads to confusion in its application. Merely passing a central legislation is not in itself a complete step; for implementation in its spirit, it is to be ensured that some level of uniformity is maintained, at least in the initial stages of its coming into effect. Further, the need to amend certain laws is also to be examined and implemented effectively in order to ensure that these courts do not face any hindrance in their working. These small steps, if examined and implemented within time, will go a long way to ensure that the Family Courts are successful, to a greater degree, to fulfill the noble purpose for which they were created.